We develop and manufacture silver recovery and silver recycling solutions that will help you improve productivity, meet stringent compliance legislation and save money. With more than 40 years of experience, we will help you get the most for your silver cartridges, flakes, waste, film and tailings. We consistently offer top prices for our customers in mining, food processing, health care, photofinishing, printing and commercial facilities across North America. No matter your industry, location or business size, we can create a silver recycling program to suit your needs. Maratek processes and refines a wide variety of silver bearing materials. 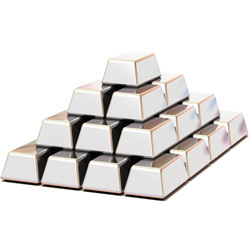 Silver is refined to a purity of 99.9% which is subsequently used in alloys or the production of silver bars. Maratek is one of only a few silver certified silver refiners in Canada. Maratek Environmental is the leading Canadian Recycling firm specializing in silver recovery, silver recycling and the refining of silver. 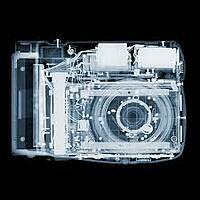 We offer a full service silver film recycling process with full security, insurance and confidentiality. We buy bulk scrap silver film in a variety of forms - Including medical and industrial X-ray scrap film which contains silver. 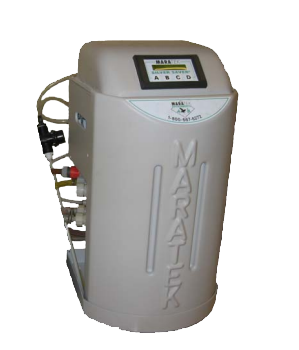 The Maratek Environmental Silver Saver system is the most advanced, easy-to-operate, and attractive effluent management and silver recovery system on the market. It’s fully-automated, desilvers at a rate up to 500 ml/minute (0.13 gal/min) and maintains silver levels well below 5. The Silver Saver has a programmable monitoring and metering system that controls and tracks the flow of silver-rich and non silver-rich solutions from on-board holding tanks. It’s an attractive and complete monitoring and metering system that offers a sleek, efficient, and space saving design with the latest computer technology for discharge monitoring and compliance assurance.